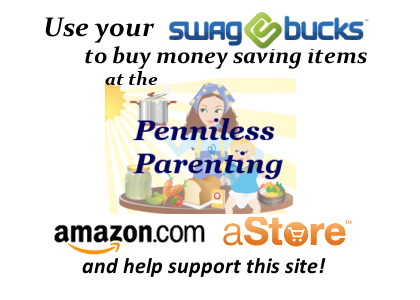 I've been looking for ideas of things to do with my kids that are low mess, don't involve tech, are frugal, and won't be too much work for me. 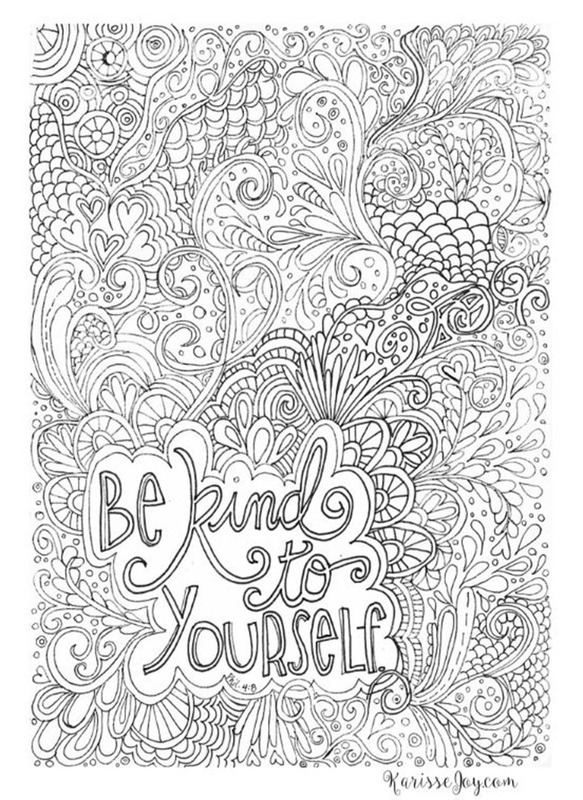 Something to do with the kids in our time together, bonding activities, and I thought about coloring. 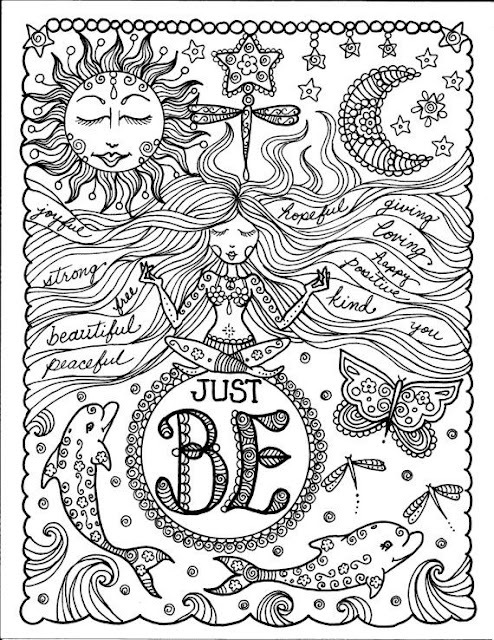 Mandalas specifically, because they're very calming and relaxing and meditative, almost. My boys are away with their grandmother on a trip, more on that when they get back. Today the girls and I did some coloring together. I searched the internet for free mandala coloring pages and found and printed these. My girls had a lot of fun coloring. I printed two for each girl. 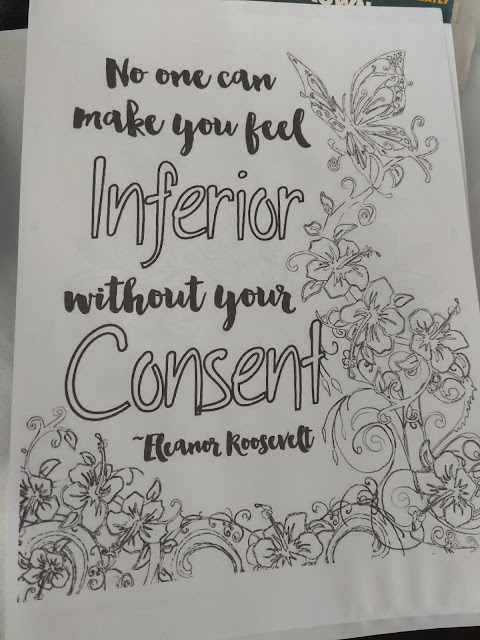 For myself, I decided I wanted coloring pages with motivational quotes, and printed this one. 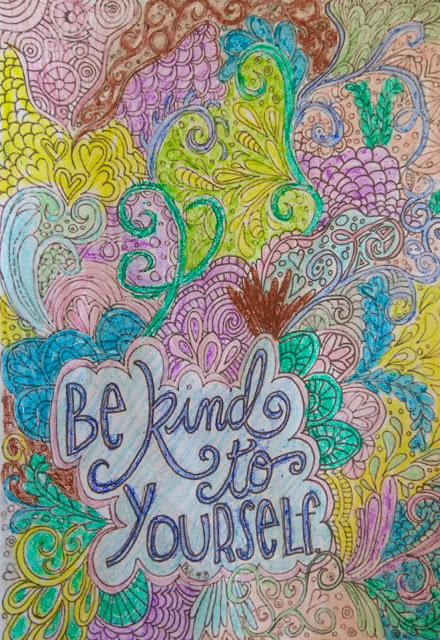 My kids have lost and destroyed most of the coloring implements we have; I ended up coloring this in with the small variety of colors we had, and all broken colors. And I think the message in the coloring page is just perfect. 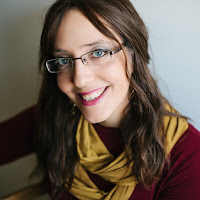 Be kind to myself that my picture didn't come out stunning, because I literally used the tools I had on hand. I may hang this in my room or otherwise put it somewhere as a reminder. I also found and printed these and will be coloring them in as part of my self care once I buy more crayons, markers, and/or colored pencils. I've also included a copy of the one I already colored if you want to print them out. This really is a favorite quote of mine! And this is pretty awesome as well. 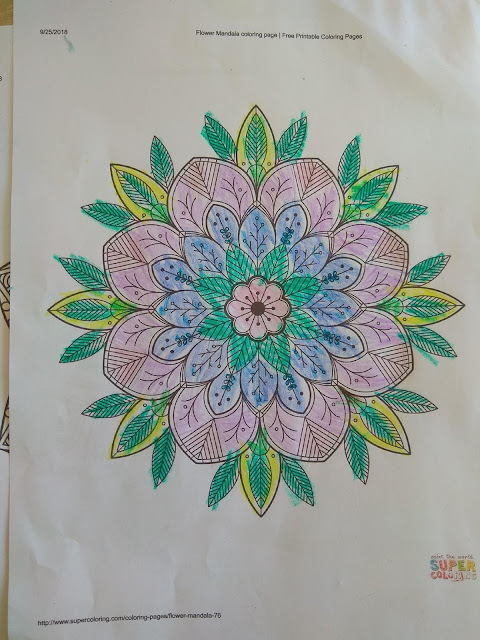 If you want to do this for yourself as well, and/or with your kids, just search online for printable mandala coloring pages or printable adult motivational coloring pages and you'll come up with a lot. Are you a fan of coloring? 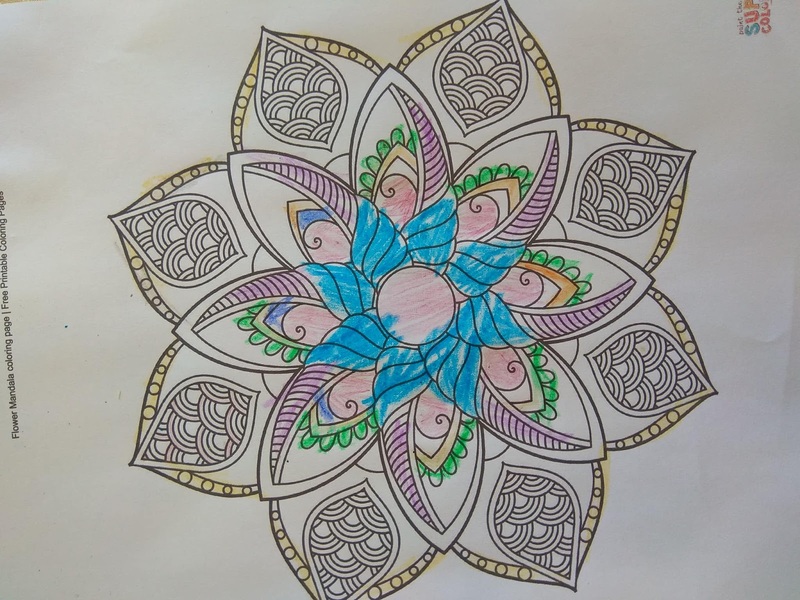 Do you color mandalas, adult coloring books, or anything similar? 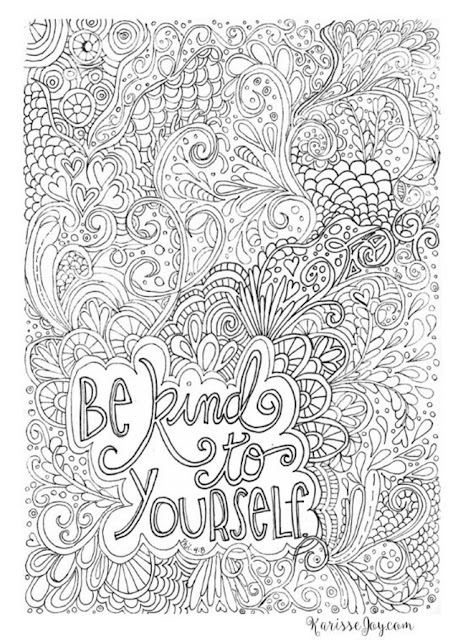 Where do you usually get your coloring pages? Any tips on how to prevent my kids from destroying the new coloring implements I buy? 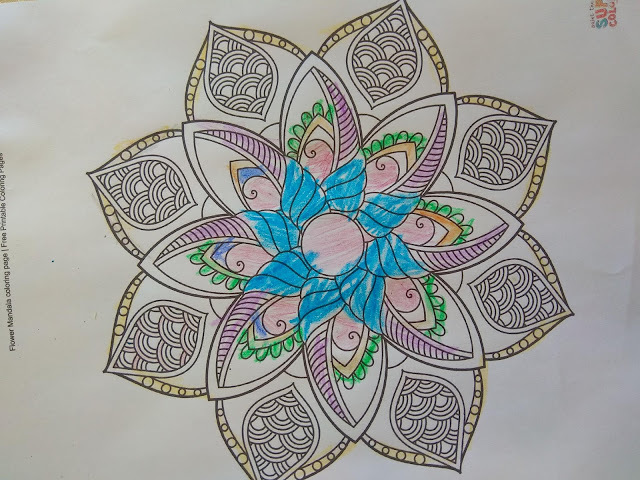 My son and I love to color mandalas together. I keep a lookout in the clearance section of the bookstore or supermarket for the coloring pages and at rummage sales, thrift stores, etc for coloring materials. Luckily crayons are usually pretty cheap and I pick up extras during the back to school sales. One thing we have done with these after coloring is given them as homemade gifts or cards. My son used it as a card to go with a gift for a birthday party and his friend loved it! I know you've shared that space is tight at your home, but if you have a corner what about a family puzzle? We almost always have one on the go in the corner of our living room - and it just stays there until completion. 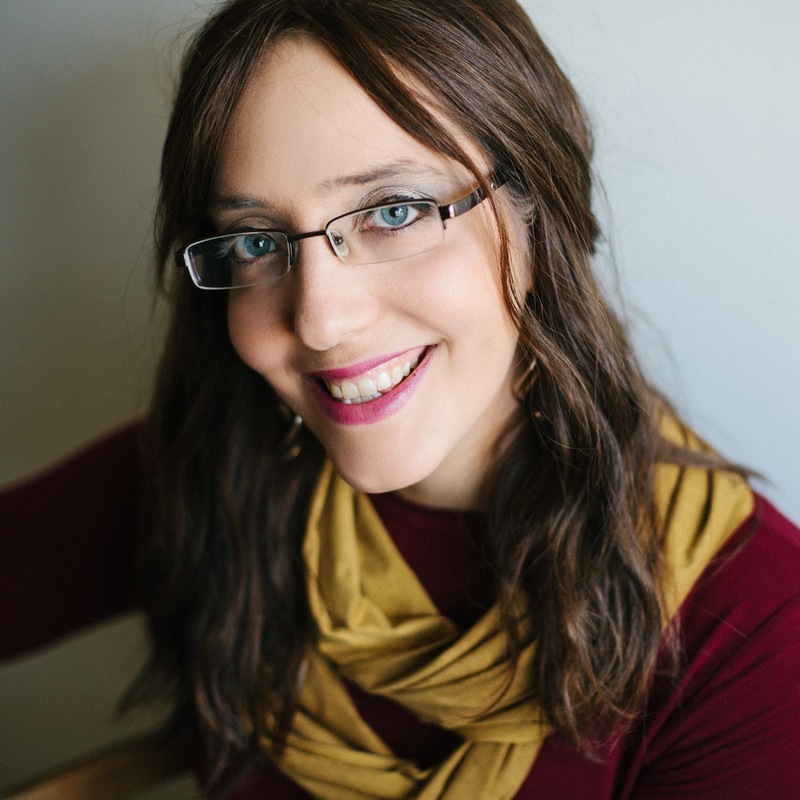 We will work on it as a family in the evenings, but is also a quiet activity that is sometimes enjoyed solo by our family of introverts when they need some personal time away from the hubbub of life. We find lots of great puzzles at our second hand thrift store. Some family puzzles have corners with larger pieces for smaller children and then more complex patterns on the opposite side for adults. We also enjoy card games. Many, many card games. I am unable to color anymore due to arthritis, but my Mom is into them big time. I'm so happy you found a hobby that you can share with your children. Too many parents don't spend any time with their kids and they really need to. I don't have a clue on how to protect the coloring implements with the kids. You might want to consider getting a crayon maker. They run about $20 new, but it's a chance to take all the broken crayons and make then new again. Over here (USA), I would just hit up Walmart after school starts & they reduce the colored pencils. Chunky crayons work well for our littlest ones. Then I simply keep replenishing the regular crayon supply for the older ones, with a crayon sharpener for finer lines. You might try letting the oldest kid or two have a set of pencils to see if they'll take better care of personal property? 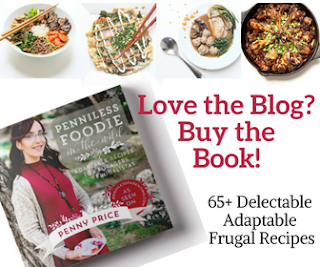 Exciting Blog News- Free Foraging Video!